Mt. Kailash (6714 m) is one of the most sacred places of Tibet. It is a holy place for Buddhists, Hindus and Jains. 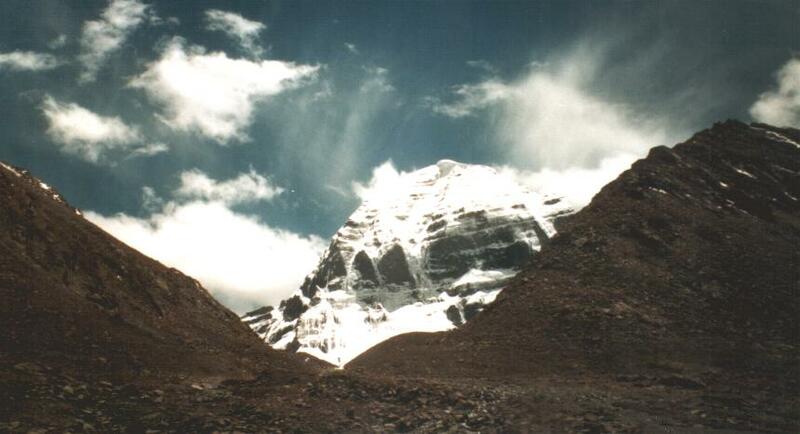 To Tibetans it means 'the pillar of heaven', to Hindus it is the place where Shiva resides. All of the pilgrims, which come still nowadays in great numbers, make a 'kora' (a walk around the mountain), which has the auspicious effect of 'cleansing the sins of a lifetime' (13 times or even 108 times are even more auspicious...). Along the kora are several monasteries, caves, buddha footprints, chörtens, sky burial sites, 'sin-testing stones', etc... The highest point is Drölma-la (5630m), a pass with an abundance of prayer flags. Pilgrims often do the kora in one (very long) day - a Westerner will need at least three days (See also my story Mt. 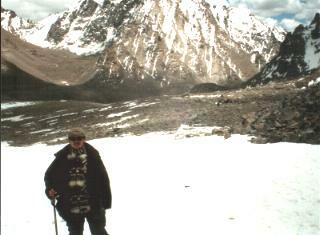 Kailash Kora ). Staying overnight in one of the 'guesthouses' attached to the monasteries is possible, although a lot of people do camp. It is forbidden to climb the mountain, something which has not been done till now. Trekking around the mountain is possible from mid-May till mid-October. Have you also visited some sacred mountains in Asia ? I'm interested to hear about it !